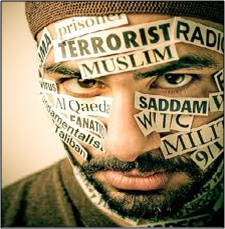 In the media some ethnic minorities are often portrayed as a “problem” as they are reported as the cause of crime and social disorder. There is also an issue with the lack of BME individuals within the media. Akinti analysed news coverage and conclused that ‘Black news is bad news’- when young black males featured in the news they were associated with law breaking, guns, drugs etc. Racism on TV in the UK made the headlines in 2007, as Shilpa Shetty was subjected to vicious racial slurs by her (white) housemates on Big Brother. Shetty is a popular Bollywood star, and this incident resulted in outcry in India, and there were widespread objections to both her treatment and Channel 4’s decision to broadcast it. A record 40,000+ complaints were logged by the broadcasters’ watchdog, OFCOM. He found evidence that white citizens were reported positivel and non – whites were reported negatively. Van Dijk also found a lack of views and voices from ethnic minorities. Watson notes that moral panics often result from such stereotyping of Black people within the media, particularly the panic that they are potentially criminal. Such headlines back up Hall’s study of a 1970s moral panic around the ‘Black mugger’. More recently, moral panics have remained around the idea of Black gang crime. This was fuelled by David Blunkett (Home Secretary in 2002) who said he was ‘appalled’ by lyrics in rap & hip-hop music and links were made between this type of music and gang violence. Richardson found that Muslim views are largely ignored in the media- when they did feature, it was mainly in a negative light. This has hit the headlines again given recent extremist attacks by IS in Paris. Culture Minister Ed Vaizey has said that the lack of black and ethnic minority faces on UK television is “frankly weird”. He has called for action to address the problem as he complained that broadcasters were “cutting themselves off from a huge range of talent” and that the industry was failing to reach a significant section of the audience. Idris Elba and Lenny Henry were among famous people who wrote an open letter telling TV bosses they are “dismayed” at the poor numbers of people from ethnic minority backgrounds working in the media industry. When discussing the lack of BME people on television, Sociologists have referred to tokenism and symbolic annihilation. The Independent recently appointed the first non-white editor of a national newspaper. Contrasting views from Best and Kellner- rap music can be positive. Wider implications- racism in society linked to media representations. Many studies are outdated and representations have improved- 78% of the public have seen an improvement in how ethnic minorities are portrayed. Underrepresentation and tokenism acknowledged- campaigning by Lenny Henry and other social media campaigns.